Karuturi rose plantation in Gambela: object of "misguided psychosis"
RAM KARUTURI, the world’s largest rose grower, calls it a situation that needs immediate intervention. Else, he is sure the rush of Indians to Africa will ebb to a trickle, which, in turn, could have serious implications as ethnic tensions with the locals are slowly, but steadily, rising in some parts of the continent. The hub of the crisis is Gambela, one of Ethiopia’s nine states, for long starved of investment. To reverse the situation, they invited Indian companies to boost its near-decaying agriculture. And now, the locals are up in arms, blaming the Indian companies for indulging in what they claim is heavy land grabbing. “It is Ethiopia’s biggest land grab,” says Nyikaw Ochalla, Director, Anywaa Survival Organisation (ASO) that is spearheading the agitation. Historically, land in Gambela was owned by local chieftains. Though Gambela was included in the country’s comprehensive land distribution scheme, it had little effect on the region. “Until recently the local chiefs virtually owned all village land rights. Now Indians and Saudis are taking over, destroying and clearing the best woodlands to grow farm products, not for local consumptions but for export,” says Ochalla. HE CITES a new World Bank report that acknowledges a lack of environmental and social impact assessment of large-scale foreign agri projects in this Horn of Africa nation, due to the rush to approve them by the country’s investment authority. The report further indicates the limited employment benefits to local communities, with only 0.005 jobs per hectare created for local population on average. Karuturi Global Ltd runs a pilot project on 10,000 hectares now, but plans to increase its capacity to 5,00,000 hectares in the coming years. “This vast fertile land, leased to the company, would deprive local people of their livelihood and increase destitution, leading to higher crime rates in both rural and urban areas,” adds Ochalla. 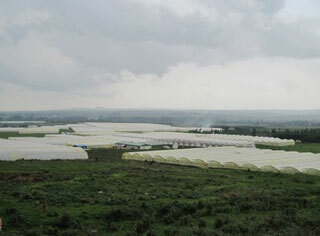 Karuturi denies the charge, saying the land is leased from Ethiopia’s Agriculture and Rural Development Ministry. “There has been a reaffirmation by the government, and we have an offer of over three million hectares of additional land,” he told TEHELKA in an email interview, adding: “NGOs are missing the whole point. Fears of neo-colonialism have stoked this misguided psychosis.” He is not alone. The likes of Shapoorji Pallonji, Emami, Ruchi, KS Oil, all acquiring land for the same reason, are worried. Officials at the Ministry of External Affairs (MEA) say Indian firms have committed $4.2 billion for farming in Africa. Anand Seth, director general of the Federation of Indian Export Organisations, calls Africa “the next big thing’’ in investment and markets for India. ASSOCHAM, India’s apex industry body, is also upbeat about African farms and sent a proposal to the MEA to consider tapping such chances. “But I have not heard of any crisis,” says ASSOCHAM Director Om Tyagi. But tensions refuse to die. The ASO, egged on by locals, has got the support of some foreign observers who will visit the site to see if any land grab has taken place. Karuturi, listed as one of the world’s top 25 agri MNCS by UNCTAD, became the first Indian firm to lease 3,00,000 hectares in Gambela in 2008. It plans to invest $100 million to set up a 7,000-tonnes per day sugarcane crushing plant. Similarly, BHO Agro Plc plans to start biofuel seeders by leasing 27,000 hectares — half the size of capital Addis Ababa. In recent months, the impoverished and chronically food-insecure nation has become one of the world’s leading agribusiness destinations after the government leased for 40-99 years one of its hottest commodities: farmland. As a result, a host of countries from South and Southeast Asia and Latin America rushed in to seize the opportunity. An estimated 50 million acres have been leased by them in the past two years, in a mad rush partly driven by last year’s global food crisis. Consider this. New Delhi, troubled by lack of farmland at home, is encouraging Indians to buy mega farms across Africa. Saudi Arabia has shifted its total wheat production to Africa. The pace of the scramble for land has alarmed policymakers. Unsurprisingly, locals aren’t too happy about this. In fact, even the United Nations (UN) agrees, deals are being signed with little public input, and local ministers promising just about anything But even the UN has little choice. Food is scarce in Africa, and Ethiopia recently asked for food aid for about six million people, as drought devastated East Africa. “Some tensions stem from local resentment, because many foreign companies have acquired huge tracts of land and started plantations. And the locals are not liking it for a host of reasons,” quips Dipo Dave Ifabaye, an African journalist. He should know. The Ethiopian government’s open employment policy for foreign investors to bring qualified personnel is actually a dampener, because Indian firms brought in hordes of unskilled workers, besides trained hands. “It deprives the Ethiopians from getting both managerial and menial jobs. They can only hope for daily labourers’ wages for back-breaking work,” says Ochalla, saying Indians should offer better benefits to locals. But Indians are keen to get 40 percent of workers from India. “Everyone is doing it,” says Ashok Singh, a senior official at Ruchi, adding the fear is misplaced as only a quarter of Ethiopia’s 175 million fertile acres is being farmed, while 80 percent of its 75 million people are farmers who still plough with oxen. Indian firms bring in mechanised farming. But some are still not convinced. Tensions against Indian companies are mounting from the Opposition parties which say decades of industrial farming could leave Ethiopia barren. A few local NGOs have stepped up the pressure, using posters of poor Africans starving, as food is hauled off to rich countries. “One of the biggest problems of this government is that it is opaque. It is using the land policy to cling to power,” Merera Gudina, a leading Opposition figure at loggerheads with Premier Meles Zenawi, told TEHELKA in a telephonic interview. “I am sure our government (made of former Marxists) is buying diplomatic support by parcelling out land,” he says. Gudina is also afraid that concentration of foreign firms in this region could affect indigenous farmers, as the Baro river is the region’s only resource. No one wants it to dry up in this great global rush.